With the age follicle narrows and produce thinner and weaker hairs. Thinning of hairs is the second most common problem of women over 40 after sagging skin. For the women over 40 thinning/losing of hair can become a most depressing time for the individual suffering from it. As per various reports more than 20 million women in United States alone suffer from some form of female pattern baldness. One of the major causes of hair loss in women over 40 is androgenetic alopecia. Unfortunately this condition is genetic and passed down through generation and usually can be predicted by looking at senior family members. Early sign of female –pattern baldness is thinning of hair on the crown. Hormonal imbalance is one of the main causes of hair in the women over 40. Hormonal imbalance in this age of women can be caused by many factors. Some of the reasons may be under active or over active thyroid glands, diabetes, depression, sudden and drastic weight loss, and traumatic life events such as child birth or surgery, emotional stress for a long period, certain medication such as chemotherapy drugs for treating cancer, high blood pressure drugs etc. During peri-menopause and menopause in the women over 40 the level of testosterone drops due to which hair follicles begin to die though women have very low level of testosterone in comparison with men. Chemical based treatment for psoriasis and intense scratching in this skin condition may leave scars on the scalp that dry up and kill the hair follicles. Women in this age group have more stressful life due to their family, work and emotional, social and financial responsibilities. Stress creates an imbalance in the system that may leads to thinning and losing of hair. Healthy life style, exercising, yoga/pranayam, deep breathing and proper relaxing will reduce the level of stress and help to avoid hair loss. The tight hair style can bring hair loss not due to only pulling out of hair but also from scalp damage. The hair loss from hair style and tight rollers is temporary and can be reversed by changing hair styles. If you like tight hairstyle then gets it done from some professional and learns how to do that. Nutritional deficiencies may also lead to slow regrowth, breaking and shedding of hair. 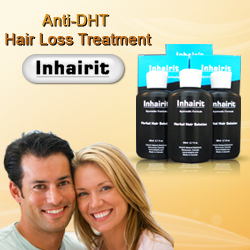 Deficiency of vitamin A for a long time is one of the main reasons of Hair loss. Hair problem that are caused by nutrients deficiencies can be resolved by intake of proper diet which includes vitamin A, Certain vitamin B, vitamin C, iron, zinc, protein etc. Women should enhance the intake of fruits green leafy vegetables in their diet as these are the main source of vitamin A.